Corrosion and cracking on the external or internal surfaces of in-service pipes, tanks, or other industrial assets reduces the integrity of the material and potentially reduces the service life of the equipment. Defects may have various forms and may be initiated by one or more mechanisms potentially resulting in corrosion and/or cracking. These factors affect a wide range of materials and bridge many industries including: industrial, aerospace, pipeline, power generation, and marine. This paper is the first in a series of papers that present the types of defects encountered in the pipeline industry and the sizing methods that can be used for assessment of the defects. This paper has been prepared to present examples of corrosion and cracking in pipeline metals and to demonstrate appropriate calibration blocks, which include representative targets, that should be used to calibrate ultrasonic equipment prior to same side sizing applications. In subsequent papers the Near Side Detection and Sizing (NSDS) and Fusion Line Detection and Sizing (FLDS) ultrasonic transducers will be introduced for use in same side sizing of surface breaking cracks found in pipelines. Although the focus of these papers has been on pipeline applications the technology can be used for many applications, including the inspection of stainless steel and aluminum. Degradation of pipelines is the result of the persistent attack by the environment on pipeline materials (coatings, welds, pipe, etc.). Buried pipelines are located within ever changing environmental conditions that may lead to a corrosive environment. Factors that may prevent or contribute to the initiation and attack on buried pipelines include the following. Additional information can be obtained from the report published by the National Energy Board in 1996 entitled "Stress Corrosion Cracking on Canadian Oil and Gas Pipelines". Buried pipe is coated to offer protection from the surrounding environment. A breakdown in the coating will result in pipeline metal being exposed. The material used for coating pipes varied over the years as technology evolved. For example; in the 1940’s and 50’s coal tar, wax, and vinyl tape were used; in the 1960’s asphalts were used; and in the 1970’s to present day fusion bond epoxy was and is being used. Polyethylene tape and extruded polyethylene jacket material was also used from the early 1950’s to the present day. The introduction of an electrical current on a buried pipe such that the electrode potential of the buried pipe is lowered creates an environment where metal loss is reduced. Soil conditions, such as moisture content and mineralogy influence the effectiveness of the cathodic protection, as does the type of coating on the pipe. For example, pipe coated with polyethylene material is shielded from cathodic protection more than pipes coated with asphalts. Soil structure and conditions will not only impact the effectiveness of the cathodic protection but also may contribute to the creation of a corrosive environment. Factors such as soil type, drainage, temperature, CO2 concentration, and electrical conductivity all contribute to the environment surrounding the pipe. The temperature of the soil as well as the temperature of the pipe may create favorable conditions for attack on pipeline materials. Liquid and gas lines have slightly different operating temperature characteristics but both are still susceptible. For example, with gas pipelines both the pipe and surrounding ground can vary from a high of 40oC upon leaving the compressor station down to 5oC at distances from the station. secondary stresses due to soil settlement or movement. Corrosion, in particular cracking, is related to the pressures exerted on the pipe. As the pressures within the pipe are increased, the growth rates for cracks also increase. The circumferential stress (hoop stress) generated by the pipeline operating pressure is usually the highest stress component that exists. Conditions where the pipe is under cyclic loads may result in increased crack growth rates. Operating pressures for large diameter pipe can measure up to 8700kPa (1250psi). The pipeline pressure continually fluctuates due to loading and unloading of product and is influenced by pump activity. This applies to both gas and liquid lines but has greater influence in liquid systems. proceeds at approximately the same rate over the whole surface being corroded and the extent can be measured as mass loss per unit area. results in pits in the metal surface due to localized corrosion. occurs in or immediately around a break in the material. results in corrosion at or near the grain boundaries of the metal. involves conjoint erosion and corrosion that typically occurs in fast flowing liquids that have a high level of turbulence. results from the joint action of mechanical stresses and corrosion. Stress Corrosion Cracking (SCC) falls within this group. The various corrosion types produce distinct corrosion patterns. However, whether the corrosion is a result of low level and pitting corrosion that effects large areas or it is a more aggressive galvanic or microbiologically influenced corrosion (MIC), the result is metal loss that could compromise the integrity of the pipe. The corrosion patterns produced include uniform defects, pitted surfaces, striations, and channel defects. 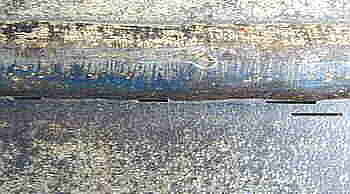 Figures 1 to 4 present examples of some corrosion patterns observed on pipeline metal. 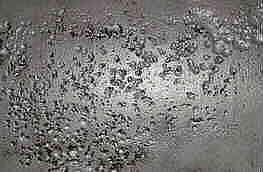 Fig 1: An example of general deep pitting corrosion with some pits joining to form larger pits and interconnected pitting. Fig 2: Image presenting the trend towards channel style corrosion. The channels were initially small pits that joined together and continued to grow. This type of corrosion pattern can result in defects with significant depth and length. 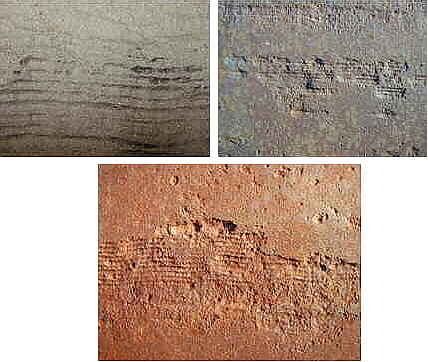 Fig 3: Examples of corrosion striations. This style of corrosion looks like scratch marks and requires special consideration when being inspected using ultrasonic methods, since the striated corrosion surface profile affects the reflected ultrasound signal. 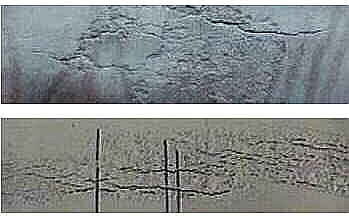 Fig 4: General corrosion patterns range from the image on the left (with little or no good wall) to the image on the right (with only minor corrosion throughout the surface). Calibration blocks for sizing corrosion are typically quite simple and have one primary requirement, to assist an operator with calibrating the ultrasonic equipment to allow accurate assessment of the material being inspected. Depending on the inspection format, manual or automated, the blocks used for calibration may vary. 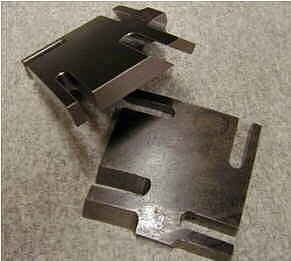 In manual inspections a standard step wedge is commonly used for remaining wall or opposite wall measurements. The step wedge should be constructed of material representative of the material being inspected and contain at least three different thickness measurement locations. Figure 5 contains an example of a typical step wedge that could be used for calibration. 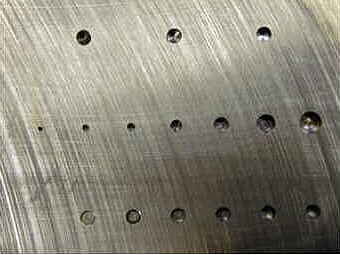 Also shown in Figure 5 is a set of Side Drilled Holes (SDH) that can be used for calibration in sizing applications. Fig 5: Example of a typical step wedge and SDH. In this example the step wedge and SDH are from the Eclipse Thin Wall (ETW) calibration block. Calibration for automated inspection formats allows for the calibration sample to be more indicative of the corrosion being inspected. Although Flat bottom holes (FBH) are commonly used, the utilization of more intricate calibration blocks is beneficial. The benefits of using more representative calibration blocks is that the operators have a range of signal responses that can be used to mock-up the inspection and test the calibration. This allows confirmation of the various components of the signal being extracted from the data sets. Figures 6 to 8 show samples of calibration blocks that include FBH and corrosion patterns. identification of the various signal components that are obtained. Both of these items are required to provide accurate measurements of remaining wall thickness and allowances for any out-of-round issues that may be encountered. Fig 6: Flat bottom holes of various depths and diameters are useful for identifying transducer limitations. Additional fixed known angle hole targets (cone shaped) can also be used. Fig 7: Actual pipe corrosion sample and the associated machined replica pattern in a calibration sample. Fig 8: Calibration sample showing three replicas of the same corrosion feature. Each corrosion replica has been machined to a different predefined depth to provide TOF measurement variation. Many forms of cracking exist in the various industries that utilize material and equipment susceptible to cracking. Four types of mechanically and chemically assisted cracking that may occur in industrial equipment include: fatigue cracking, stress corrosion cracking, hydrogen induced cracking, and hot hydrogen attack (Hoppenbrouwers, 2000). In this paper the discussion is limited to the pipeline industry and stress corrosion cracking. Stress Corrosion Cracking is a form of Environmental Assisted Cracking (EAC). The term EAC is used to describe all types of cracking in pipeline that is influenced by the environment and stress. In a pipeline environment when water comes in contact with steel there is potential for the minerals and gases to create an initial corrosion site that is acted on by stresses that result in crack growth. 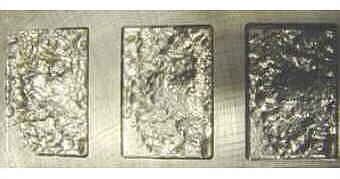 Contributing factors to crack growth are residual stresses, temperature, load stress, bending, and local stresses. If there is no stress then crack growth will not occur and the result will be general wall thinning or pitting through corrosion. The conditions that are present during crack growth dictate the type of SCC that may occur. For example, electrolyte pH will determine if the cracking is intergranular or transgranular. 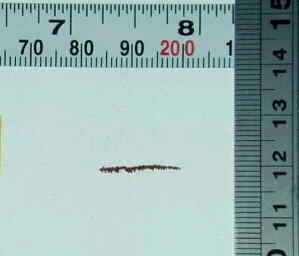 High pH conditions cause intergranular cracks while low pH conditions create non-classical SCC that result in transgranular cracks with mixed modes at the crack tip. The crack faces in low pH cracks also show evidence of secondary corrosion and appear wider than high pH SCC. 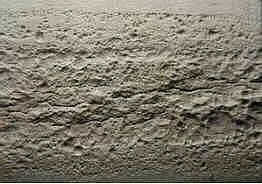 Crack characteristics can vary greatly depending on the cause of the crack, the materials being cracked, and the environment causing the cracking (CEPA SCC working Group, 1997). Figures 9 to 11 show examples of crack profiles. 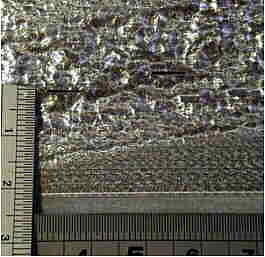 Figure 9 shows a cross section of two SCC cracks that were located in pipeline steel within the body of the pipe. Cracks may have a single main branch or be composed of several smaller branch tips. In addition, the proximity of a crack to adjacent cracks may vary significantly as shown in Figure 9 and 10. Figure 9 shows two cracks located at a significant distance from one another while Figure 10 shows two co-parallel cracks close together located within the weld cap. Figure 11 shows a crack occurring at the fusion line of the weld and the parent material. Fusion line cracks are commonly known as toe cracks. Fig 9: Photomicrograph of a SCC crack in pipeline steel. 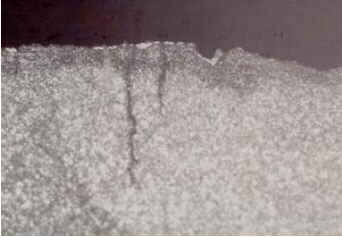 Fig 11: Photograph of a SCC crack at the weld fusion line (toe crack). Branching nature that may occur at the crack tip can clearly be seen in this profile. Fig 10: Photomicrograph of a SCC in a weld. The two indications shown are located adjacent to one another and both occur within the weld material. 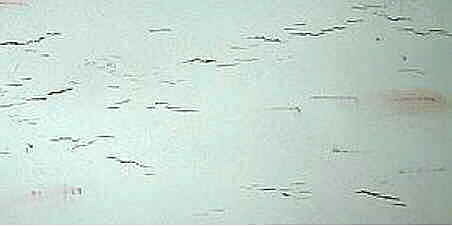 Cracks may form as isolated cracks or within colonies. An example of an isolated crack is shown in Figure 12 with an example of a limited colony shown in Figure 13. Cracking within colonies may result in the cracks on the periphery of the colony being deeper then the cracks at the center of the colony. This may be observed because the effect of cracking within a colony environment may act as a stress relieving mechanism causing reduced crack growth for cracks located in the center of the colony while the cracks on the periphery continue to grow. Fig 12: Example of an isolated SCC. 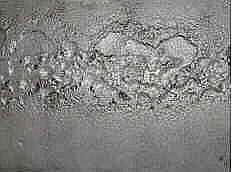 Fig 13: Example of a SCC colony. Cracking located at the weld edge or fusion line is due to stress concentration that occurs at these locations. 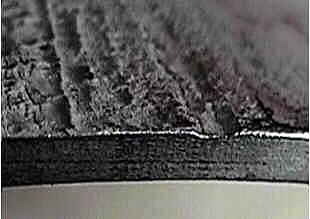 The potential for the coating to tent along the weld cap and the higher stress factor present at weld areas can produce significant indications. Figure 14 shows an example of a toe crack with an adjacent SCC colony. Fig 14: Toe crack with adjacent SCC colony. The weld is located along the top edge of the photograph, above the toe crack. The toe crack shown is 15cm in length and over 3mm deep. Sizing SCC cracks requires calibration blocks capable of providing known time of flight values for travel to and from the target, either in a skip format or for direct travel. Targets typically used for calibration are saw cuts, machined notches, Electrical Discharge Machined (EDM) notches, or Side Drilled Holes (SDH). The last target type, SDH, seen in Figure 5, is used when diffraction methods are employed because a good signal can be obtained by reflecting sound off the top radius of the SDH. With notches, machined notches are preferred over EDM notches because machined notches allow multiple calibration blocks to conform to a standard response while EDM notches tend to have slight variations. Figure 15 and 16 show examples of machined notches. Ideal for calibration in sizing exercises is a calibration block that combines both notches and SDH since these targets provide the operator with a range of sizing options. It is also advantageous to use samples of the pipe material as the calibration block since this will permit the transducer wedges to be appropriately contoured. The combination of introduced targets and appropriate material selection for the calibration block will allow high accuracy time measurements to be obtained once the calibration is complete. 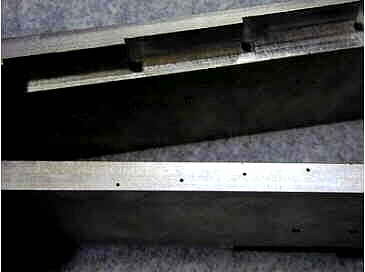 Fig 15: Machined notches used to simulate single and co-parallel cracks. 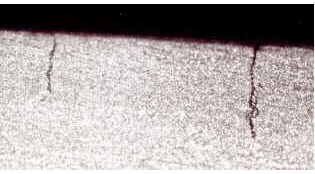 Fig 16: Example of machined notches at the weld edge in a pipe coupon. Single and co-parallel notches along with notches at known angles are introduced and used to evaluate propagation angles of toe cracks. The combination of cracking within a corroded area is commonly seen in the field and represents a unique issue because when the crack depth is added to the depth of metal loss due to corrosion a significant indication depth can be obtained. Figures 17, 18, and 19 contain examples of SCC occurring within corrosion. Figure 18 shows a cross sectional view that demonstrates how the combined penetration depth of corrosion and cracking can lead to a significant total depth. Fig 17: Light corrosion and significant SCC can be seen in both images. The lower image has channel style corrosion with a high population of SCC indications. Fig 18: A cross sectional view of corrosion and cracking. This profile illustrates that when the combined depth of the corrosion and cracking is considered a significant percentage of the total wall thickness may be lost. 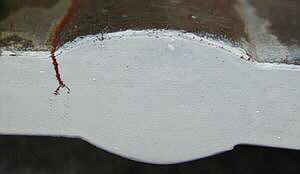 Fig 19: Cracking may occur following corrosion paths as this photograph shows. Consequently, cracks may occur at varied angles relative to the pipe axis. In situations where corrosion and cracking co-exist, same side sizing of the crack depths can still be achieved. The approach calls for the corrosion to be profiled followed by sizing of the crack. This type of sizing application presents certain problems due to the introduction of an irregular surface and typically requires automated post processing techniques to obtain the required information. Calibration blocks for sizing SCC in-corrosion need to provide a means of confirming the unknown variables that will be addressed by the post processing software. The effects of time delays in varied media must be considered as well as the isolation of the crack tip signal from other signal components. The calibration blocks for same side sizing applications should include a corroded area that contains introduced targets (notches or SDH). Figures 20 and 21 provide examples of corrosion samples that would be used for this type of work. 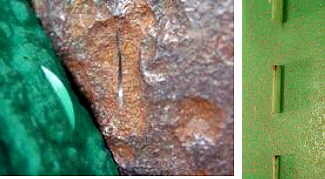 Figure 20 shows the corrosion replica while Figure 21 shows a detailed view of the corrosion replica with notches introduced within the corrosion. Fig 20: Replication of a corrosion sample. 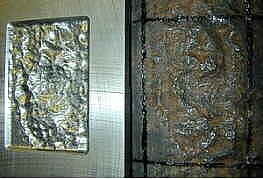 The image on the left is the original corrosion feature while the corrosion replica is shown on the right. 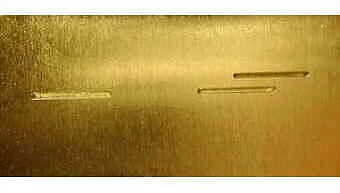 Fig 21: Machined replica of a corrosion feature with introduced notch targets. The notch targets are used for ultrasonic equipment calibration in same side sizing applications. In the previous sections there has been discussion with regards to the introduction of targets into calibration blocks to allow calibration of ultrasonic equipment. It is important to recognize that target depths and calibration block material properties must be known in order to allow for accurate calibration. When a same side sizing exercise is completed the material properties (material velocity, attenuation, temperature) of the material being inspected must be known to allow the operator to use the appropriate calibration block or compensate for differences. Variations in velocity, or an unknown velocity, will prevent accurate sizing from being completed. Figure 22 includes a photograph of a typical calibration block that may be used to investigate velocity variations within pipeline material. The figure shows the machined slots that allow measurements in various orientations to be taken. Velocity variations for shear and transverse waves in the radial, axial, and circumferential directions may be examined (Ginzel and Ginzel, 1995). ASTM code annex E1961-98 (Annex 1.1) was added to address the method for velocity determination pertaining to pipeline applications using the calibration blocks shown in Figure 22. Fig 22: Velocity test coupons that were machined from pipe material for material property studies. Additional material properties, such as attenuation, can be investigated if required for more advanced property studies. A good reference for material investigations is the book entitled Ultrasonic Measurement Methods and Physical Acoustics published by Academic Press in 1990. To obtain accurate depth measurements of the targets, opposite wall ultrasonic measurements can be used or if appropriate, rubber replicas of the targets can be prepared to allow depth measurements. Rubber replicas, shown in Figure 23, offer the ability to section and make measurements through optical means. In situations where rubber replicas are not appropriate, for example with SDH, ultrasonic means are suitable, recognizing that depending on the diameter of the SDH there may be a requirement to compensated for off angle measurements. Fig 23: Round notch (left) or machined notches (right) can be used for calibration. Accurate depth measurements for the notches may be obtained by using rubber replicas and optical measurement devices. Consideration of defect initiation mechanisms and the ability to interpret defect styles should enable the NDT technician to choose the best inspection option for the conditions at hand. By providing background knowledge, sample defects, and appropriate calibration blocks the technician will be able to confidently address the requirements of the application. The use of modern computers and automated scanning systems has enabled significant advancements in ultrasonic same side sizing techniques for corrosion and SCC sizing. Corrosion mapping and crack sizing using tip diffraction, angled longitudinal, or shear wave inspection techniques have the potential to offer cost savings by reducing inspection times and providing detailed information about the corrosion feature or crack profile. Corrosion and SCC cause pipeline integrity degradation worldwide and are issues that will be around for years to come as the pipeline infrastructure ages. Accurately sizing defects, using NDT techniques, have allowed for a reduction in the need to incorporate grossly overstated conservatism during assessments and/or the need to verify crack depths by grinding out crack indications. Understanding the type of defect being investigated and performing an appropriate calibration and inspection will ensure accurate sizing information for engineering assessments. ASTM E1961-98. Standard Practice for Mechanized Ultrasonic Examination of Girth Welds Using Zonal Discrimination with Focused Search Units. Annex A1.1 Determining acoustic velocities in pipe steel. Ginzel, E.A., and Ginzel, R.K., Study of Acoustic Velocity Variations in Line Pipe Steel. Materials Evaluation May 1995, Volume 53 Number 5. Hoppenbrouwers, M.B., 2000, MSc Rצntgen Technische Dienst BV, Rotterdam. Advanced Ultrasonic Methods For In Service Condition Assessment of Industrial Process Installations. NDT.net, March 2000, Vol. 5, No. 03. Ultrasonic Measurement Methods, Physical Acoustics Volume XIX, 1990, ed. By R.N. Thurston, Allan D Pierce. Academic Press, New York, NY.